In an effort to bolster is GoDigital initiative, India’s second largest private sector bank, HDFC Bank has launched instant 10-second paperless loans for its existing customers. 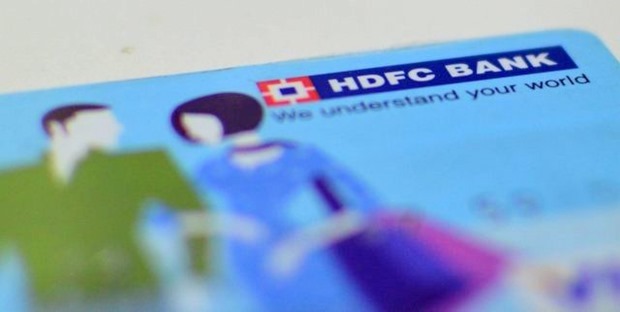 “HDFC Bank will now disburse personal loans to its customers in just 10 seconds. With this product, existing customers will have a pre-approved loan amount available to them 24×7,” said HDFC Bank in a statement. “The entire process of availing the loan is completely paperless, and users can simply log into their bank account via net-banking or mobile banking and avail of this loan at a click,” the statement added. Basically, the customers will have a pre-approved loan amount which they can disburse at their will. This will be highly useful during medical emergencies. In order to avail this loan, all you have to do is open your account via mobile banking or net banking and get the loan amount within a few clicks. The entire procedure would be completely transparent and hassle-free and the customers won’t have to do any paperwork or any wait for the disbursement of the funds. This will be highly useful when the customer is in need of some cash urgently. The whole thing looks similar to having a virtual wallet which can used to dispense money in the time of need. This instant loan facility is launched under the bank’s GoDigital initiative which was launched in Varanasi last year. Its first offering was Bank Aap Ki Muththi Mein, which literally converted the customer’s mobile phone into a bank branch. However, please keep in mind that you still won’t be able to secure huge loans such as for housing and business through this initiative at the moment, but it definitely seems like a step towards the future. In the current age of smartphones and internet, we the consumers have become too impatient to even wait for a couple of minutes in a queue. Our lifestyle is way too different from what our ancestors led, so the need of shorter and faster bank processes was desperately needed. So, if the companies start innovating, then all this time-consuming paper work and red-tape processes would be a thing of the past soon. HDFC Bank through its GoDigital initiative wants to become the pioneer of quick and short online processes in near future. HDFC Bank has also launched PayZapp mobile app for facilitating one-click payments on e-commerce portals. The Bank also reported that over 63% of all HDFC Bank transactions were made over digital channels in 2014-15. We just hope that this mobile banking procedure is completely secure or you’ll end up in a big trouble. In a similar move, the big players in the e-commerce industry are now planning to offer instant 3-4 hr express delivery to their customers. This will not only increase customer satisfaction but will also usher in a new era of super-fast everything. If we can order anything online while on the move, then why can’t we have it delivered within a few short hours? Mobile phone and internet usage is going to bring in a lot of innovative technologies by forcing the big companies to cater to the consumer demands instantly. Our current generation of smartphones pack enough power to do anything within seconds. So, why not take everything online and save time? After all, time is money. Isn’t it? "HDFC Online Banking Now offers Instant Paperless Personal Loans In Just 10 Secs", 5 out of 5 based on 1 ratings. I couldn’t find any information regarding this on HDFC Bank website. Is this only for people who have an HDFC bank account as their salary account or any HDFC bank savings account holder? How to apply for this?